Residential moves, commercial moves… we know that any move is a chaotic process, no matter the size, small or large, simple or complex. There are always forgotten, or overlooked factors. Let Handy Guys Moving Services take care of the details of moving, while you focus on the details, of all of the other demands on your attention. Whether you are moving across town or across country, we can make sure all of the details of packing, loading and moving are done right. 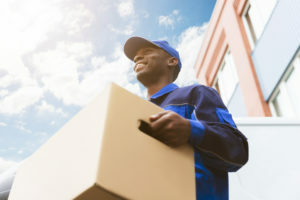 Anyone who has ever attempted to move a home or a business from one location to another, whatever the proximity between the two , knows it can be an ordeal packed with stress! But what if we told you the packing, loading and moving process can be simplified? It is not impossible? Just ask the other 99% of customers who would refer us to friends and family for their next move, simply because of how impressed they were with our quality of work and our fast pace! Helping American families and business move is our core service, with a focus on customer care!